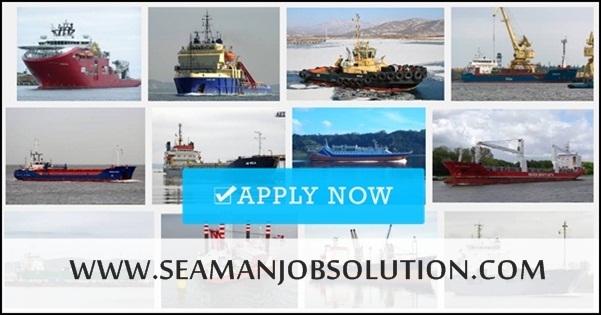 SEAMAN JOB INFO - Post/Feb/2019 Crystal Shipping, Inc. Looking Filipino seafarers crew join on Workboat, Gen Cargo, Container Vessel deployment A.S.A.P. Was established in the year 1989 by Capt. Inocencio A. Crisostomo and spouse Mrs. Edith Azarcon Crisostomo with the primary mission of not just providing job opportunities for the thousands of Filipino Seafarers but to make a statement to the global shipping industry that the Filipino Seafarer is the "Crew of Choice". 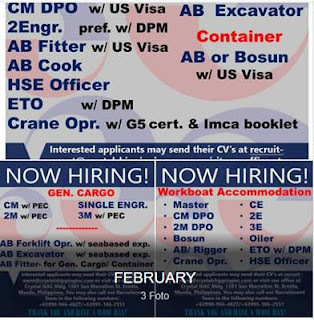 0 Response to "Looking Crew For Workboat, Gen Cargo, Container Vessel (Philippines)"